Chakras are small rotating, or spinning, energy centers located, on the etheric level, at various places on the body. We can't see them but they are there. There is TONS of stuff on the Internet about the Chakras, so I will make this relatively simple. All images by me. Images below are drawn by me and colored-in using Photoshop. 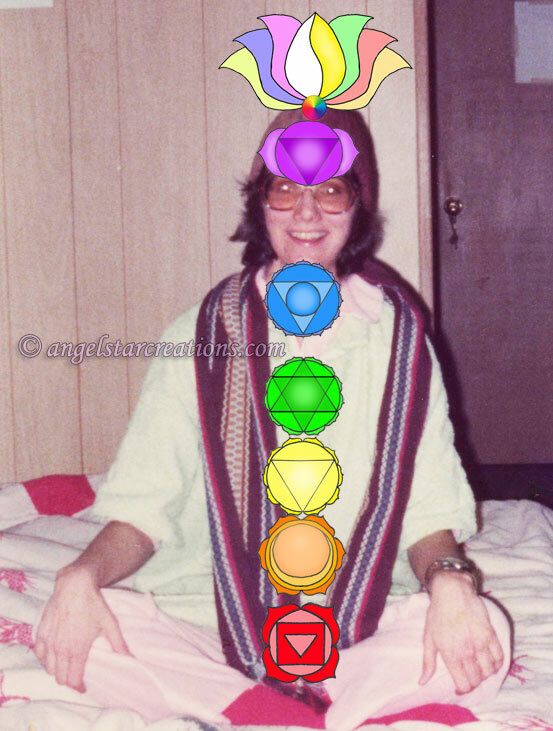 Me with the properly placed chakras on my body. Check out those glasses! I was about 25 here.. 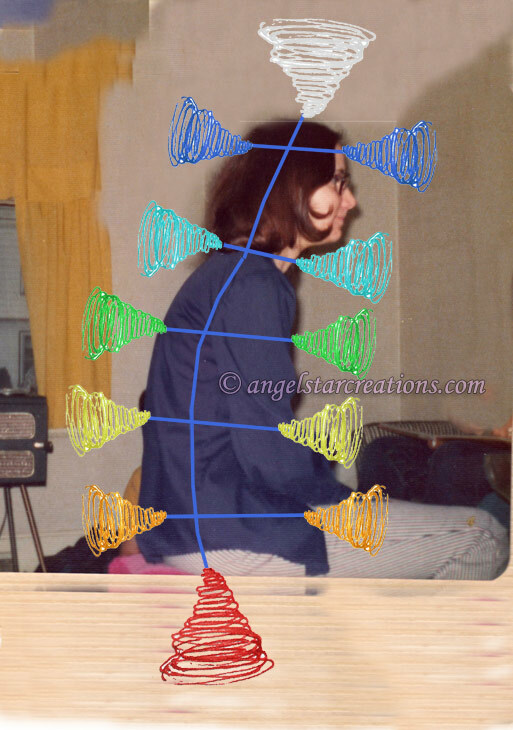 Above is picture of me again showing spinning chakras as a sideways view. I made the crown chakra white. I like to think it has many colors. This picture is of me when I was about 15. This is me at about the age of 18. I like to think of the chakras in this way. They can by glowing circles of overlapping light. Chakra Meditation Video by me. I believe they look they way you want them to look. These are my own drawings of what I have seen in the past from my own intuition and from other sources I liked. I know they spin and that they send energy and receive energy. Do a meditation and see if you can see your chakras. Also hold a pendulum above a chakra to see which way it spins for you. 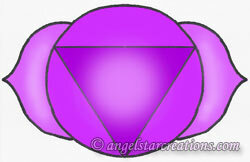 Go here to download from Itunes some basic chakra meditations by Valerie Donner of The Ground Crew. Moving up from the base of the spine. 1. 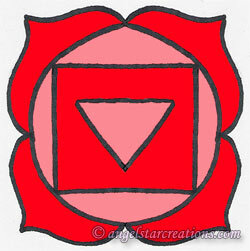 The Root Chakra. Color Red. Represents our connection with our Mother Earth. Center of our Survival and grounding. 2. 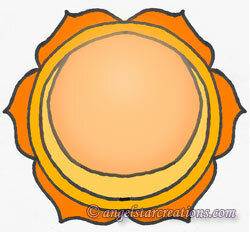 The Sacral Chakra. Color Orange. Represents our connection with water. Center of our creative and sexual energy. 3. 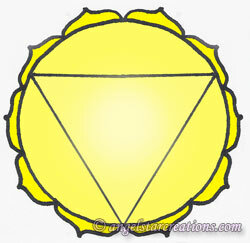 The Solar Plexus Chakra. Color Yellow. Represents our connection with fire. Center of our will, our personal Power. 4. 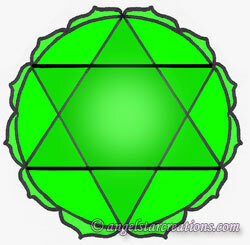 The Heart Chakra. Color Green (sometimes pink). Represents our connection with air. This is our center of love. 5. 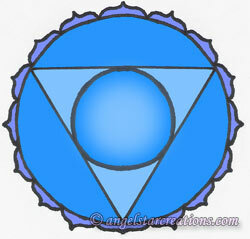 The Throat Chakra. Color blue. Represents our connection with ether. Center of our speech. 6. The Third Eye Chakra. Color Violet. Pituitary gland. Represents our connection to mind and the mental plane. Intellect. Center of our perception of spiritual light. 7. 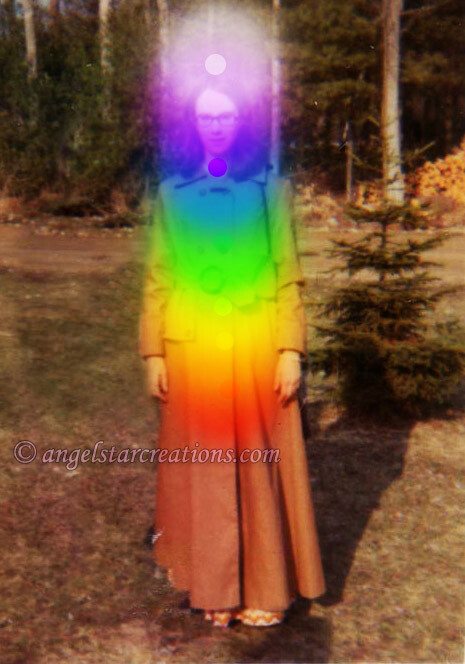 The Crown Chakra. Color white, all colors or gold. Connection between psychic and spiritual realms. Above the head. Center of our spirituality. The chakras are part of our etheric body and are contained within and outside of our physical body. Through them we connect to our spiritual selves, our higher selves and God (whoever you believe him/her to be). Some people believe we have more than the basic 7 chakras listed here. Some say we have 12. Some people add extras within the body. Some say they extend out indefinitely. Our earth and the other living planets also have their own chakra system. 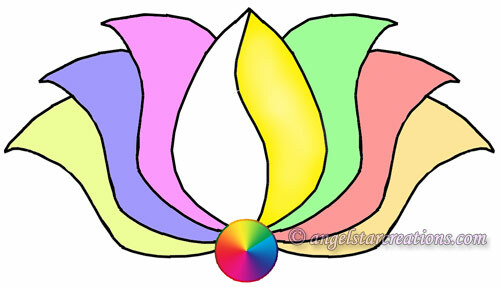 The place where a chakra is on this planet is often called a vortex and is a place of special healing spiritual energy. The image above is a picture of me when I was about 25. 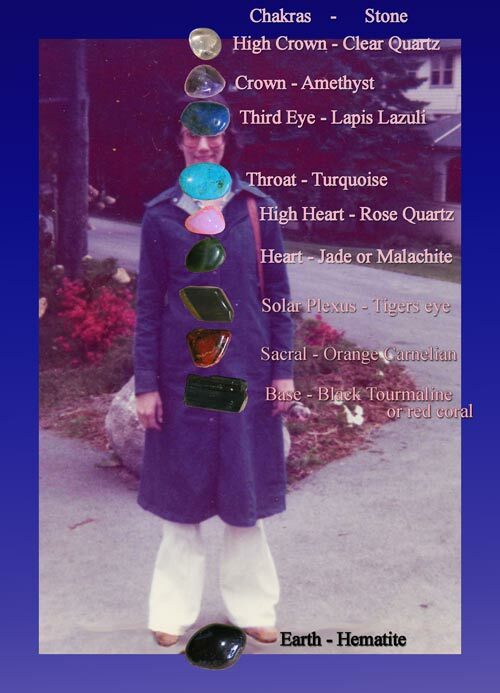 The list below shows where they should be placed on the body for a chakra healing. They certainly don't have to be as large as shown in the picture. Ordinary tumbled stones are fine. Picture of me with my camera by my mother.